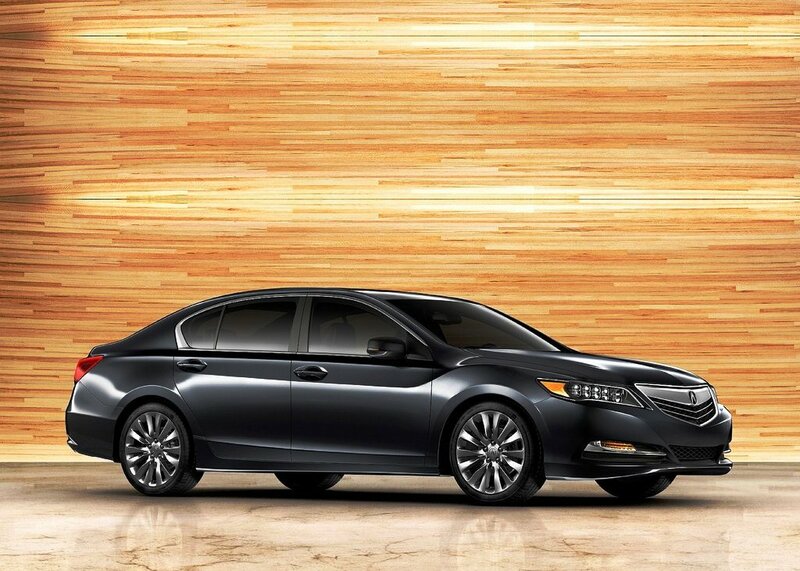 Acura has unveiled a luxury sedan, all new 2014 Acura RLX. Acura RLX is the most powerful Acura sedan, spacious and technologically advanced. RLX utilizing all-new direct injection engine, a lightweight body structure, and the application is the first time Acura Precision All Wheel-Steer ™ to deliver an amazing driving experience. All new 2014 Acura RLX has exterior with wide stance and ateltis. odylines upswept sharp, aerodynamic glass, and distinctive new Jewel-Eye ™ LED lights enhance the down-the-road lighting. The RLX's Acura alloy wheels also feature a noise-reducing design that lowers tire noise. additional features including Acura RLX power rear sunshade, integrated front and rear parking sensors, heated and auto-dimming rearview mirror, and rain-sensing wipers. Luxury form is the sense of the the Acura RLX interior. Number of advanced features available in this car. they include 8-inch navigation screen and a 7 inch On-Demand Multi-Use ™ touchscreen that provides access to key functions, including audio, navigation, air conditioning, and text-to-voice SMS text messaging function. Other features include button start, power tilt and telescoping steering, electric sunroof, tri-zone automatic climate control and Bluetooth ® HandsFreeLink ®. Under the hood 2014 Acura RLX is a 3.5-liter direct-injected SOHC i-VTEC ® V-6 with Variable Cylinder Management. this engine delivers 310 horsepower.